ABHE had held their 72nd annual meeting in Orlando, Florida from April 20th to 22nd, with over 500 school leaders in attendance. OSAD was invited for the second year in a row to participate for the event. 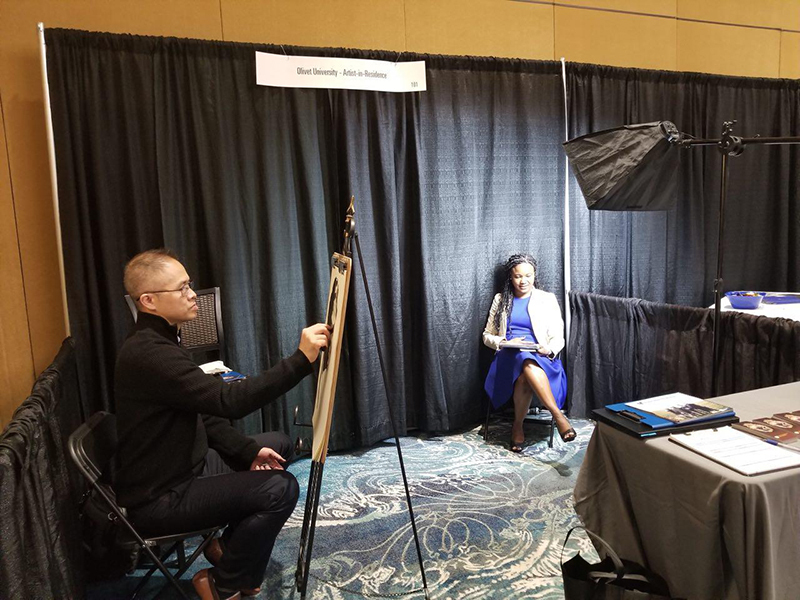 Olivet University had its own booth in the event’s exhibition hall along with the ABHE artist resident, OSAD Associate Dean Zimou Tan. 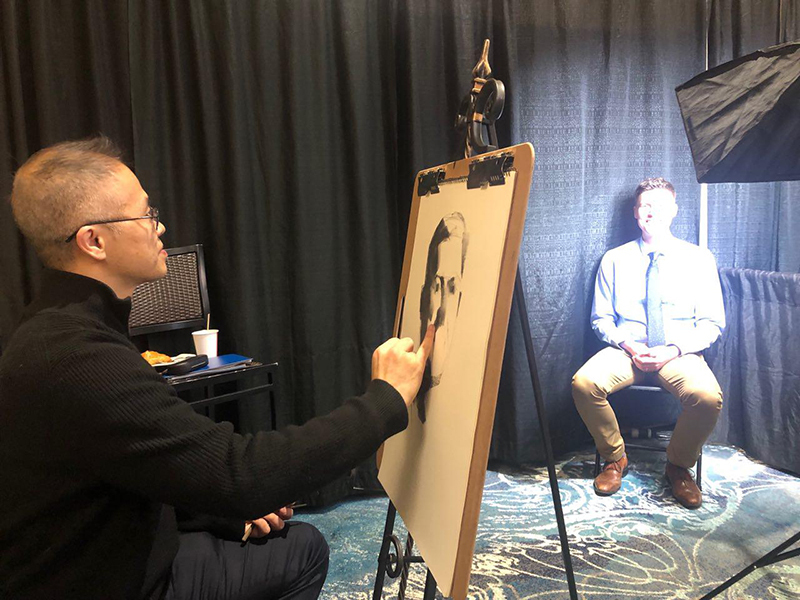 Professor Tan spent two days serving at the event by drawing portraits of participants. Each person sat down for a 45-minute portrait session as Tan crafted their likeness onto paper with charcoal. OSAD was honored to be able to connect with other representatives and serve them through the arts. The Olivet School of Art & Design (OSAD) has recently received the Association for Biblical Higher Education (ABHE) approval for its new BA Fine Art program. The new program will be based on Theology with core Social Science courses along with solid foundations for advanced art-training courses.